What Does Lenin's Tripura Fall Mean? Home Analysis What Does Lenin’s Tripura Fall Mean? What Does Lenin’s Tripura Fall Mean? The demolition of Lenin's statue in the northeast Indian state of Tripura marks another step towards greater saffronisation by the country's ruling party. 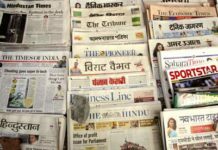 The Bharatiya Janata Party’s victory in the Tripura Assembly election has led to the highest amount of news coverage that the state has received in recent decades. In the aftermath of the election, celebratory actions such as the public demolition of the statue of Vladimir Ilyich Lenin garnered the mainstream media’s attention. However, the attack on the Left cadre, their offices and sympathisers did not receive even a fraction of the coverage, despite all of this happening simultaneously. The celebratory spectacle masked the organised violence. 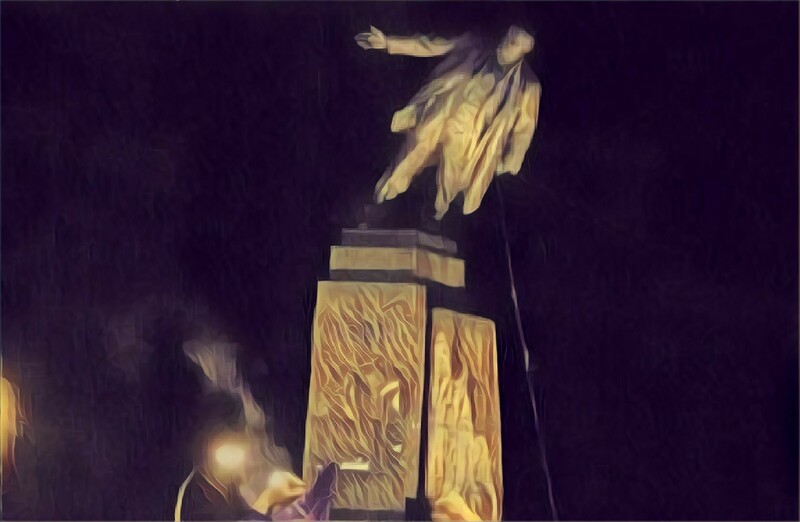 The destruction of Lenin’s statue is not an isolated case of destruction of historical heritage, even though it is being seen as such and is even being compared with the systematic dismantling of Lenin statues in Russia and eastern Europe after the collapse of the Soviet Union. The analogy is misplaced for various reasons. In post-Soviet Russia, as well as most of Europe and the United States (in the last case, Confederate monuments as an example), statues of only such people have been destroyed who have been seen as symbols of oppression — of slavery, tyranny and mass violence. In the third world, symbols of colonialism or foreign rule have been destroyed. In Tripura, the act is nothing but a reflection of hate. Further, in most cases mentioned above, there hasn’t been destruction — the statues have either been dismantled or relocated to a park, museum or visual archive, with tags that educate people about the significance of the structure (in whatever way, right or wrong). There are many examples of this. For instance, Soviet symbols in post-Soviet Russia have not been entirely eradicated. Parks have been created of dismantled statues. They are seen as an essential part of history, one which is no longer upheld, and yet is owned. In Germany, Nazi structures and monuments were preserved to educate the people about the horrors of the nation in that era, as well as the popular bigotry it mobilised. The cultural and architectural legacy of East Germany was not desecrated by united capitalist Germany. In that sense, what happened in Tripura is a barbaric destruction, a show of power carried out by kicking around the broken head of Lenin. Destroying statues is also a form of rewriting history – an attempt to sink into oblivion what is part of historical baggage. It is an attempt to erase popular memory, of whatever kind, with regard to the particular statue targeted and the related values and things it stands for. In the case of Lenin, it is the ideas of world revolution, emancipation of the oppressed and socialism, whereas in the case of Periyar, it is atheism, Dravdianism, social justice and women’s rights.Lenin himself was against the wanton destruction of symbols of Tsarist Russia. Built by the toil of the masses, palaces and monuments and galleries could, in his view, be used in new, educative ways — so that knowledge would be preserved and advanced. The Soviet Union under him allowed for cultural forms developed by the bourgeoisie to subsist – ballet as an example. Cuba, and to some extent pre-Cultural Revolution China, followed this. Stalin, of course, reversed this policy. Post-Soviet Russia discarded the older ideology but did not wholly abandon the socio-cultural sensibilities of the earlier state, built over seven decades. It is a little sad that the statue of a man so sensitive towards labour and symbolism should have had this fate. Further, most instances of destruction of statues follow regime changes of a serious order. The destruction of Lenin statues in post-Soviet Russia or eastern Europe, again, are examples. Or Saddam’s statues in Iraq, Gaddafi statues in Libya, or the old regime structures after the Iranian Revolution. 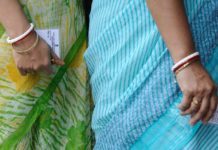 In Tripura, it was simply a victory in an election, within the same constitutional and secular framework of democracy — only with the complicity of the state — the new operative factor being state protection. While in other places the dismantling of statues marked change already taken place, in Tripura, the act seems to have taken place to force a change. The Union government since 2014 in terms of blatant communalism has legislated less and abetted more – the current constitutional framework does not allow much elbow room for majoritarian fascism. Abetment opens up an extra political avenue: the masking of political violence as popular sentiment and the cadre hiding under the garb of the mob. Saffron-leaning narratives are already following this tactic. As an example, Sreemoy Talukdar, in this article, justifies the political violence against CPM cadre/offices and the demolition of the statue by claiming that it is a reflection of “popular anger.” He lists out incidents which have been dwarfed by the political violence meted out by parties such as the Congress, RJD, JDU, SP, BSP and others, and altogether whitewashed the role and actions of historically the most violent political elements in India — the BJP, RSS, VHP and Bajrang Dal. Further, Manik Sarkar was a far better chief minister than Pinaryi Vijayan or Buddhadeb Bhattacharya and does not have a record of acting to the public’s detriment the way the latter of the other two has. However, those (such as the far left in JNU) who are gloating over the vandalism or see it of not much consequence (as just another statue), are short-sighted. Lenin has symbolised the heritage of revolution and support to national liberation the world over. He was a friend of the anti-colonial struggle in India (something the Hindu Mahasabha and the RSS weren’t) as elsewhere, as acknowledged even by Bal Gangadhar Tilak – and was one of the first to firmly tie the date of a socialist future with the emancipation of the colonies. The utter ignorance, hatred and barbarism involved in the act of demolishing the statue is a precursor of what to expect from these forces and this regime. It suggests that the regime will have no respect for history, multi-culturalism, democracy or internationalism. It is not just an attack on the CPM, but a tiding of the direction our polity is taking. So far, no substantial or sincere criticism has come up from other political parties, and nearly none when it comes to the accompanying political violence beyond the vandalism. The moral sincerity of the statements of the prime minister and Mamata Banerjee (who conducted a similar massacre of CPM supporters and cadre in 2011) can be reasonably doubted on this one count. In a way, the trajectory of saffron political violence is in line with the barbaric practice set in motion with the destruction of the Babri Masjid in 1992 and the violent semi-seditious speeches that mobilised lumpen elements from different parts of the country, as also the many routinely defaced and broken Ambedkar statues (often done in secrecy). Recently, there has been a call by a top BJP leader in Tamil Nadu for destroying the statue of EV Ramasamy Naicker (Periyar), one of which (in Vellore) was later damaged , following the incident in Tripura. It mirrors the destruction of historical and cultural symbols, artifacts, manuscripts and structures by the Islamic State in West Asia more than any post-Soviet or postcolonial destruction. It is more in keeping with the Nazi tradition of creating spectacles that are shows of power and brute intimidation, in this case, harnessing the immediate aftermath of an anti-incumbency vote. Nothing like this exists in non-fascist countries, the Tiananmen Square incident being one of the few exceptions, though enacted without a watershed moment of regime change, of course. The destruction of statues in the absence of a far-reaching revolution (which is nearly always accompanied by a public consensus) can only lead to and offer a precedent for the normalisation of statue destruction as a retributive act. That this is true has been proved by the vandalisation of the statues of Periyar in Tamil Nadu, Shyama Prasad Mookherji in Bengal and Ambedkar in Meerut. The specificity of Tripura lends another angle: the violent assertion of newfound political dominance over a long-standing incumbent, closing the chapter on the latter’s rule. The use of brute force is seen as essential to suppress competing ideologies and political discourses, especially when a key goal is saffronising a yet relatively unsaffronised territory. The simultaneous attacks on the Left cadre and sympathisers serve the purpose of dispersing and intimidating rival cadre bases as well as reducing the vocality of supporters for years to come. This tactic is reminiscent of the Mamata Banerjee regime’s takeover in Bengal in 2011, initially followed by consistent violence and the driving out of CPM cadre and later the repainting of public buildings in Kolkata in green. As the creation of a Hindu rashtra is the central aim of the BJP and RSS, beyond seasonal trysts with political power, a violent, religiously motivated cadre becomes the first line of defence of the intellectual project of redefining the nation. There have been other softer forms of ideological bigotry – the renaming of roads, buildings and places (notably Aurangzeb Road to Dr APJ Abdul Kalam Road) or the overall historical manipulation – such as the saffronisation of education, demonising minorities on a historical basis, the appropriation of Ambedkar, distorting his ideals to validate the saffron agenda (and the false portrayal of him not wanting to challenge the Hindu social order) while attempting to appease the perceived lower caste vote banks, and the appropriation of Sardar Patel, GB Pant and Madan Mohan Malviya; or the renaming of UPA welfare schemes or structures built under the latter’s ambit. So there have been two targets – our diverse past and the previous Congress regimes (as the Left usually lacks mainstream icons for the saffron forces to desecrate). The other half of the process involved building up right-wing leaders of the present and past as political giants, while exaggerating the nearly non-existent contribution of the Hindu Mahasabha and the RSS to the freedom struggle. Last year, there was a move to rename 12 colleges in Assam, of all places, after Deen Dayal Upadhyay. Every month, there are dozens of favourable and borderline fairytale books released on the prime minister by saffron and allied interests, a practice that started barely six months after his coming to power. The true colour of Indian history is saffron and to bring about cultural changes we have to rewrite history. 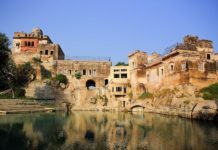 According to the minutes of the history committee’s first meeting, Mr Dikshit, the chairman, said it was ‘essential to establish a correlation’ between ancient Hindu scriptures and evidence that Indian civilisation stretches back many thousands of years. Doing so would help bolster both conclusions the committee wants to reach: that events described in Hindu texts are real, and today’s Hindus are descendants of those times. Culture minister Mahesh Sharma told Reuters…’I worship the Ramayana and I think it is a historical document. People who think it is fiction are absolutely wrong. One major example of the above is the curious case of how the Indian Council for Historical Research (ICHR) held a three-day national conference (5-7 March) on “Indian History: Emerging Perspectives.” In the conference, there was little discussion on the actual advances in historical research and methodology and the focus was almost entirely on linking India’s heritage with Vedic culture, exaggerating and valorising the contents of ancient texts as scientifically pioneering as well as presenting a picture of modern history more suited to the BJP’s political ends. This “new history” is equally inaccurate and politically motivated when it comes to aspects of the modern period. Savarkar, BS Moonje, Shyama Prasad Mookherji, NB Khare are no longer presented as the violence-inciting fringe elements that they were. They are projected as mainstream Hindu nationalist forces who fought for freedom – which is a term more applicable to the Congress right-wing of the 1930s and 40s. Closer to the truth is the fact that the BJP itself is today a mainstream Hindu nationalist (some academics use the term “semi-fascist” or “fascist”) political force. Something that differentiates the Hindu nationalist Congress right-wing of the 1940s from the RSS-Hindu Mahasabha of then and the BJP-RSS of today is that the Congress right believed in electoral democracy, in staying within the Congress despite having a Hindu orthodox outlook, and it did not have fascist tendencies. The BJP itself has been rather tactical in its engagement when it comes to propaganda. The Jan Sangh demanded the Information and Broadcasting Ministry in 1977 and it was handed to LK Advani. Murli Manohar Joshi’s role as the union HRD minister had the sole purpose of pushing the Sangh agenda forward – securing state subsidy for RSS-run schools, putting communal historians in positions of power, defunding public assets, and saffronising school texts (including non-history textbooks). A watershed moment in historical whitewashing occurred when, under AB Vajpayee, VD Savarkar’s portrait was installed in Parliament. Ultimately, the debate over the demolition of the Lenin statue is needless, as the act is a signifier of a steep descent into organised political intolerance in the name of religion, the nation and the public by majoritarian forces. A nation without the Left can only be a right-wing nation, no matter what is wrong with the Left parties. The proverbial Overton window would shift rightwards. The complicity of the state in this act and the refusal to read what it signifies spells far more than simply the felling of a statue of a leader revered by some. The incident showcases the division of labour between a right-wing project aiming for a Hindu state, stormtroopers who effect it by more violent means and an administration that coolly allows it before stepping in to put a brake until the next outrage. This essay was first published by Firstpost under the title ‘Demolition of Lenin statue in Tripura was a show of power indicative of BJP’s push towards saffronisation‘. Saib Bilaval is a PhD scholar in Modern and Contemporary History at Centre for Historical Studies, Jawaharlal Nehru University, New Delhi. The featured image is solely for representation, and does not reflect the true incident. Next articleThe Fourth Industrial Revolution: An Orwellian Nightmare?